Chomp Sharks, or Shark Chomps, are giant sized Chomps in Super Mario World 2: Yoshi's Island, Yoshi's Island: Super Mario Advance 3, Yoshi's Island DS, and Yoshi's New Island. These giant Chomps relentlessly chase after Yoshi, gnashing through anything in their way. 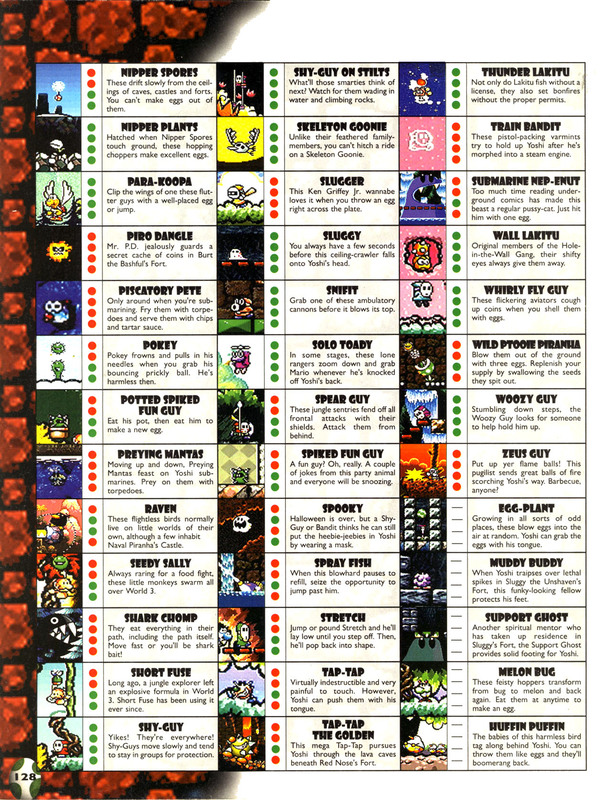 Their appearances in certain levels make backtracking impossible, as they are almost invulnerable and will often eat anything on which Yoshi can land. Eventually, the Chomp Shark chases Yoshi to a platform it cannot eat and breaks its teeth, causing it to tear up in pain and fall off the screen. Chomp Sharks appear in Marching Milde's Fort and KEEP MOVING!!!! In Yoshi's New Island, their teeth no longer crack, although, they still tear in pain. A Chomp Shark outside of Marching Milde's Fort. While many enemies in Yoshi's Island DS use retouched graphics from previous Yoshi games, Chomp Shark's sprites are notably completely unchanged from Super Mario World 2: Yoshi's Island. 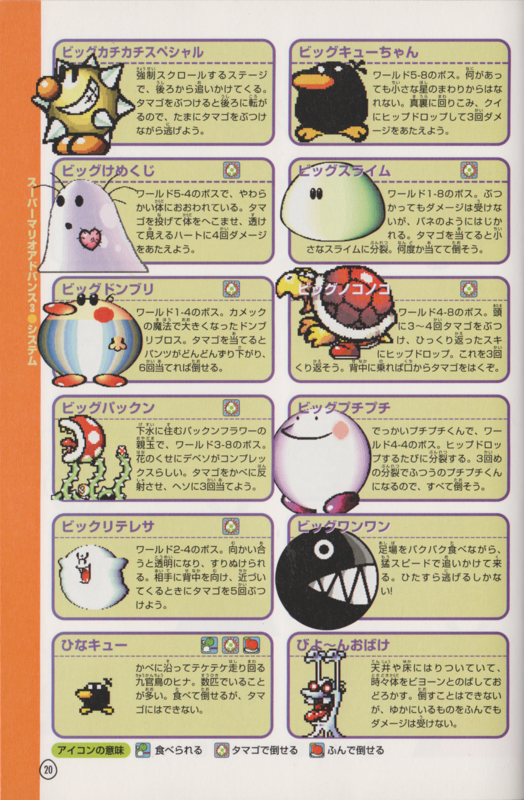 ↑ Super Mario World 2: Yoshi's Island Nintendo Player's Guide, pages 76 & 114. This page was last edited on December 25, 2018, at 11:57.